Who are the Victims of Legalisation? 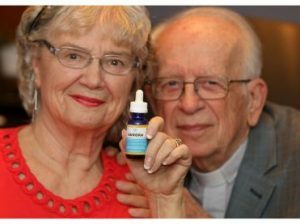 Victims of legalisation are medical patients who have seen their medicine increase in price and many do not have a medical plan that will cover their needs. There are very few places that do. The future MUST include medical coverage for Cannabis or most patients will turn back to the old ways of buying because of the price. Patients do not like to call it the black market, as they get it from compassionate craft growers who would never turn their backs on them. While the Police are still shutting down dispensaries, many are re opening to service their medical clients man who have Cancer, PTSD, Pain control, Epilepsy and many others. In a bid to discourage opioid prescriptions and to give workers a healthier alternative to the highly addictive drugs, an Ontario union is now offering medical cannabis products through its benefits plan. LIUNA Local 625 in Windsor announced the change to its plan Tuesday after two years of widespread consultation with pharmacies and cannabis suppliers. The expanded benefits plan will cover medical marijuana for its retired or permanently injured members, but it will only allow medical cannabis oil products with reduced THC for its members who are still on the job. But the shortage is only ONE problem. Patients who have been able to smoke or vape in their apartments are being discriminated against. A condo board in Mississauga, Ont. has banned the smoking and growing of marijuana in the building’s units and common spaces after finding out one woman has a potentially lethal allergy to it, despite its residents voting against the rule. Applewood Place, at Dixie Road and Bloor Street, first tried to pass a rule in April to ban pot in the building, but owners voted it down. Then, it came to the board’s attention a resident in the building, Adele Schroder, had a potentially lethal allergy to it. 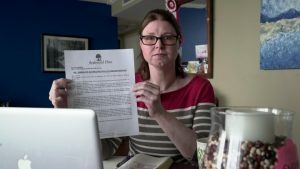 The board sent a notice to residents about the rule change Monday night, less than a week after CBC Toronto published a story about Schroder.